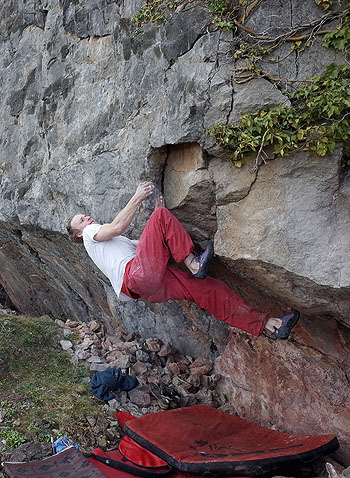 German climber, Benno Wagner, has added a couple of new problems to Manor Crag on Little Orme. 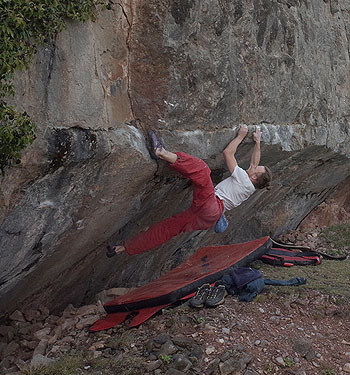 Firstly Benno made the obvious link of the newly climbed Manorism into the Andromeda traverse. Pints and Pills rates 7C. At the right side of the crag, some 5m beyond the finish of Andromeda Benno also cleaned up and climbed an excellent hanging flake line. The Academic Workload 6C+ starts sitting down to the left before powering up past an optional kneebar to a drop-able finish.